Click To Explore Job Opportunities! Grow Un Limited is a resource solution provider for businesses of all sizes. We provide short and long term off site staffing solutions for all project types whether it be chasing delinquent accounts every once in a while, creating and optimising websites, AdWords and social media marketing, taking care of monthly invoicing, or creating and maintaining Quality Management Systems, we can do it all. Formed in 2016 due to an identified need for a low cost, efficient and well-rounded staffing and project management option that seemed to be missing from the market, Grow Un Limited began as an outsourced office for an Australian group of companies. Since identifying existing issues in the outsourced office environment such as poor quality internet, slow computers, small monitors and a lack of structure, quality training and management, we have addressed each issue and more to put together what we believe is an unbeatable team of people with the highest level of skills and abilities, the latest and greatest technology and equipment, in clean, modern offices with the best amenities and conditions available. Our mission is to provide affordable and reliable products and services to everyone, everywhere in the world. and educate each other always. the service I am providing. cost, range, value & profitability. peers & the results for my customers. In today's global economy, every startup, every organization, as unique as they are, all have one common objective. To improve processes and cut rising operational cost. We help you acheive just that. Our marketing campaigns are consciously designed by using a structured approach to crafting the message and its communication. Search Engines (like Google) use various methods to try to push relevant results to the top of the page. 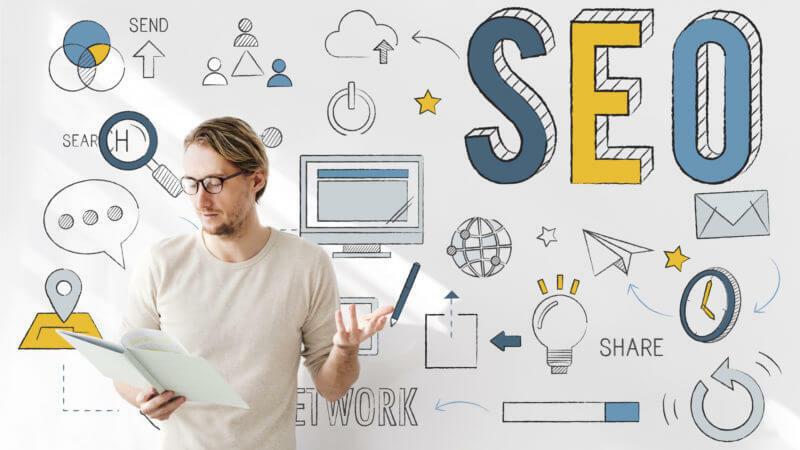 SEO can put you at the top of the search engines page, making sure that your prospects will see you. We are Grow Un Limited (GUL), a rapidly growing, Australian-owned, global BPO company. Unlike any other BPOs, we let you start at the top and GROW beyond your limitations. Grow Un Limited has developed a reputation for creating a positive, no stress office environment, but we tell it like it is. We treat all team members with dignity, respect, and every voice being heard. This unique and rare opportunity will allow you to thrive and grow in a stable, promising and long-term leadership role. Your knowledge and expertise will create core foundations across multiple new and expanding global organizations. We’re looking for a bright, detail-oriented Operations Manager who can build and maintain great quality and care with no exceptions. The Operations Manager is key to the efficient administration, growth and development of the business where the Vision, Mission and Culture is to be the primary influence in all decision making. The operations manager will play a huge role in the profit and growth of the business through employee performance management, service delivery and client interaction. The position requires effective leadership and business execution for the following key focus areas. • Assessing and formulating goals for productivity, efficiency and playing a key role to ensure all personal and overall quality standards are maintained or increased at all times. • Creating and organizing professional development plans, overseeing Transport and Logistics, Sales, and Quality Management Systems whilst implementing company policies and procedures by constantly looking for solutions to problems that may arise. • Contributing to a work environment that fosters pride in being part of an integrated winning team and promotes personal and professional growth. • Effectively communicating information and feedback to appropriate parties relating to new product and service opportunities and notifying relevant parties of any issues or amendments. • Promoting client satisfaction throughout every interaction by providing professional customer sales and service at all times and taking on the primary responsibility for efficient, cost-effective facility operations. • Creation and review of monthly operating, performance reports and implementation of programs that include marketing, sales, purchasing, distribution, accounting/finance, safety, education and employee services. • Monitoring of all department heads on daily basis; Conduct of on-the-job training and induction of management staff or other staff if and when required. • Management the day-to-day activities in the office, overseeing that work is accomplished by the managers and supervisors, and is consistent with corporate policies and objectives. • Assistance of staff with the collection of customer accounts, customer service and phone call support to resolve important customer complaints and service problems; including budget and sales forecasts with the chief operating officer. • Guidance of facility staff; provide assistance and conduct meetings where needed by developing develop and implement professional developmental plans for the employees, their supervisors and managers. • Approval of wage, bonus and commission schedules and capital equipment in line with budget, expenditures and operating constraint; Serve as the principal public relations spokesperson for the facility. • Knowledge with the industry trends, attendance in trade shows, conventions and seminars as appropriate or as directed and promotion of equal opportunity and affirmative action employment practices. • Our teammates are paid for what they demonstrate they’re worth, including bonuses for exceptional results. • You will be working during Australian weekday daylight hours, where there is no starting on night shift/weekends, or any other hidden agenda. • You will lead a group of committed and friendly people with the latest equipment, technologies, and even a home-cooked lunch to help you grow and achieve all of your professional and personal goals. • Here, you have the power to create your own success and get opportunities for further training to expand and grow. Joining our team is no doubt the best decision you will ever make. If you’re ready to show us your passion to take charge and make it your own, apply today. Looking for a fresh and exciting new challenge? Would you like the opportunity to GROW beyond your limitations? Are you an exceptional, success-driven person? If you’re looking for renewed energy and enthusiasm, we have the role for you! We are Grow Un Limited, a rapidly growing, Australian owned, global BPO. We are best known for the great care we offer clients and employees alike. Our team is here to help you achieve all of your professional and personal goals. We believe in a unique culture where all team members are treated with dignity and respect, with every voice being heard. The latest technologies and greatest equipment. The best home cooked lunches provided for free every day. A dedicated, friendly and committed team. You are paid what you demonstrate you are worth, including bonuses for exceptional results. You work Australian weekday daylight hours. You have the power to create your own success! You get opportunities for further training to expand and grow. 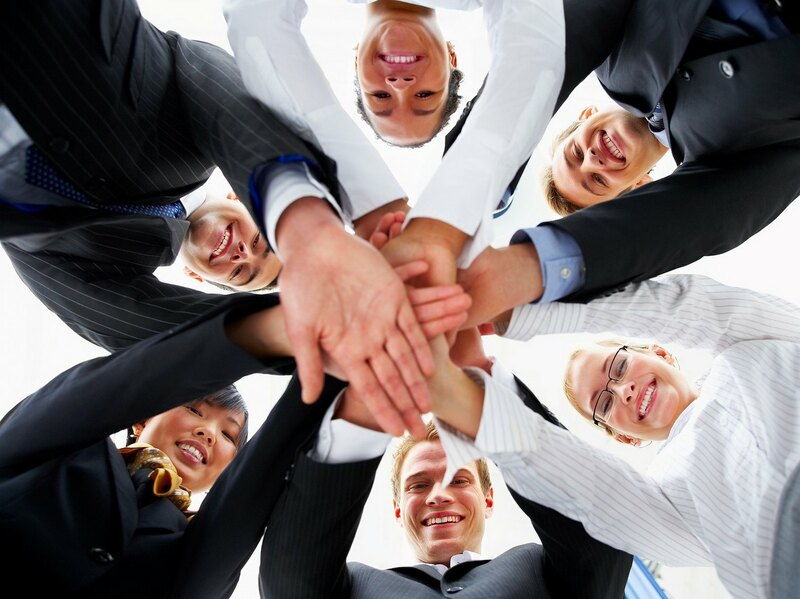 You will attend fun and exciting team-building events. Your office is located in the heart of San Fernando, Pampanga - an affordable place to live and work, close to public transport and surrounded by all of the facilities you could ever need. Only the best Sales Manager ever! This unique and rare opportunity will allow you to thrive and grow in a stable, promising and long-term leadership role, managing an expanding team where your knowledge and expertise will create core foundations across multiple new and expanding global organizations. Every day is fresh and exciting with new tasks that will continually provide you with a feeling of satisfaction and achievement. This full-time position requires someone who will take charge and make it their own. If this sounds like you and you’re ready to show us that passion, please read on. Manage a team of the brightest people towards achieving sales targets and outperforming competitors. Motivate and coach your team to ensure they are consistently aligned with their goals. Create sales strategies and training modules to increase sales revenue while ensuring win-win outcomes. Review calls and emails to ensure quality customer interaction is practiced and observed at all times. Build reports in forecasting sales and take a creative approach to business development. You’re a leader of leaders with a proven track record in managing a team in a customer-focused environment. You know that behind a successful product is a dedicated support team. You know that a focused vision is necessary to sustain a winning team and you masterfully weave that vision into even the most mundane daily tasks. You have exceptional communication, training and facilitation skills. You are a self-starter who is never content with “good enough,” and are always on the lookout for ways to improve efficiency, quality and scale. You see, we are not like any other BPO. With us, you start at the top, then GROW beyond your limitations. There is no starting on night shift or weekends, or any other hidden agenda. We’re looking for the best Sales Manager ever to make the teams dreams come to life! Joining our team is no doubt the best decision you will ever make. Opportunity of a lifetime to join a small, but successful, expanding global organisation! Our successful new team mate will enjoy coming to work every day in the heart of San Fernando, in a quiet, modern, spacious new office, where freshly cooked lunch is provided for the team daily. Can you see yourself living the ultimate career dream of a guaranteed salary, paid weekly, and on time, in a newly fitted out office with the latest technology and YOU, on board, helping the team further expand and climb the professional ladder. Grow Unlimited is unlike any other organisation you have worked with before, adopting a unique culture where team members are treated with respect and dignity, with every voice being heard. Our team is here to help you achieve all of your professional and personal goals. This role requires that "special someone" who will take it and make it their own. Some skills that benefit this role include motivation, determination to succeed, confidence, and ability to work autonomously or in a group dynamic, a slightly competitive edge, with excellent Spoken English being of most importance. Previous SEO and Google Adwords experience is NECESSARY! Our successful team member will have an array of administrative duties for various companies listed under the Grow Unlimited banner. Every day will be fresh and exciting, continually providing new and exciting tasks and being cross trained for various other positions that may interest you in the future. Compute new supplier account applications. Set up new suppliers in our systems accurately. Receive inbound account calls and assist with customer/supplier enquiries. Assist in producing scripts, procedures and policies to allow for future growth. Focus on customer retention and rectifying any customer complaints. Prepare reporting and analysis on accounts results, customer feedback and forecasting. Provide any feedback to team leaders and management. Respond to accounts payable/receivable enquiries. Assist & prepare government reports as needed. Previous Accounts Receivables / Payables and MYOB experience is NECESSARY! Our successful team member will have an array of administrative and sales duties for various companies listed under the Grow Unlimited banner. Every day will be fresh and exciting, continually providing new and exciting tasks and being cross trained for various other positions that may interest you in the future. This role requires that “special someone” who will take it and make it their own. Successfully convert cold/warm outbound call leads to sales. Increase customer value using promotional material, upselling and cross promoting other products & services. Implement and adhere to strict key performance indicators. 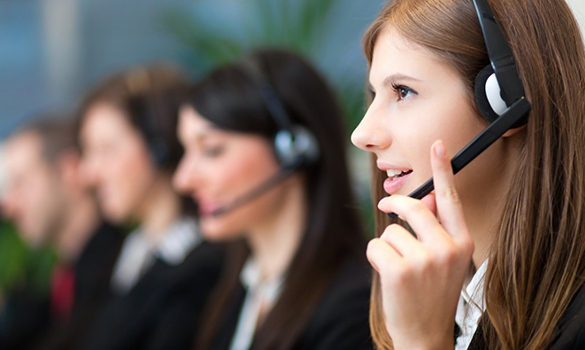 Receive inbound sales calls and assist with customer enquiries and service bookings. Provide reporting and analysis on sales results, customer feedback and forecasting. Research and evaluate current competitor trends and provide analysis. Previous SALES EXPERIENCE would also be highly regarded. Provide customer service to existing customers. Reply to incoming email enquiries. Provide back up support to team members for existing roles including of Marketing, Human Resources, Sales and Accounts. Learn, implement & maintain various software programmes. Previous office experience is necessary. BPO and customer service experience is a plus. Supervise the shipping/warehouse operation and personnel. Plan and prepare accurate and efficient runs/routes to be completed by the transport department. Oversee handling and transporting of goods in a timely, safe and efficient manner to the location as directed. Execute and control shipping/warehouse operations. Develop and recommend appropriate actions to resolve major operational problems identified in the process and prepares a corrective action plan. Practice effective and appropriate interpersonal communication and team behavior. Update and implement policies and procedures where necessary. Previous EXTENSIVE LOGISTICS and EXCELLENT MS EXCEL experience is NECESSARY! Australian geographical knowledge is a plus! Christmas is the spirit of giving without a thought of getting. It is happiness because we see joy in people. It is forgetting self and finding time for others. It is discarding the meaningless and stressing the true values. Merry Christmas! Celebrating the years of hard work of our employees. "Teamwork begins by building trust. And the only way to do that is to overcome our need for invulnerability." "When I think of the best place to be in the weeks leading up to Christmas, this work space is one of them." What is the single most important thing to you and why? Ipad, love it or hate it? So far, what has been your favourite job, and why?